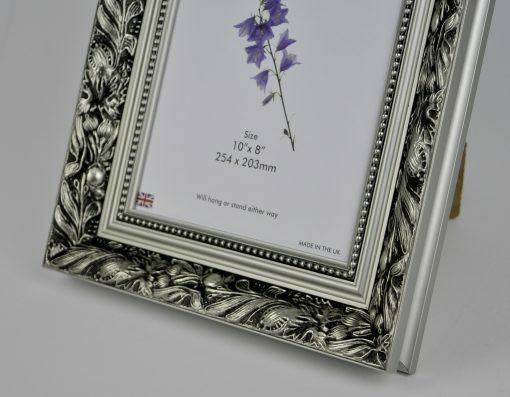 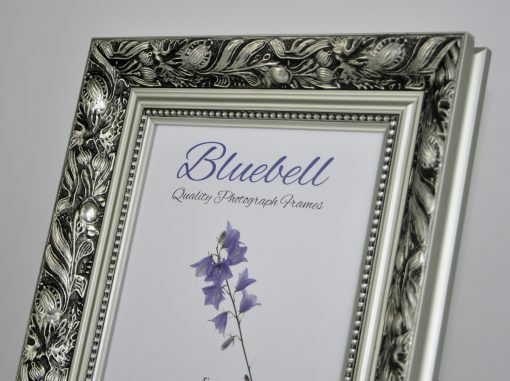 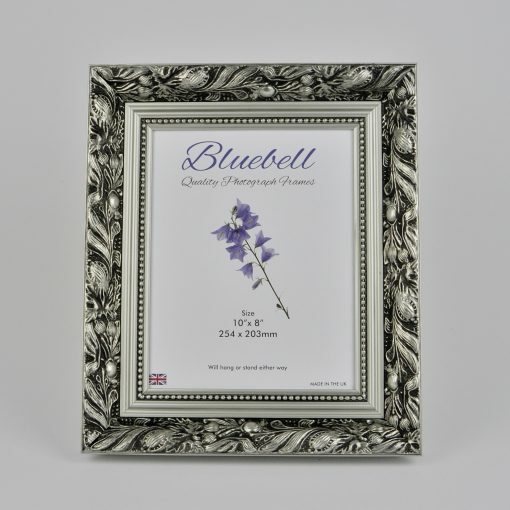 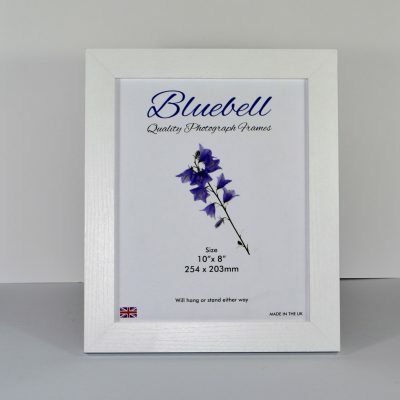 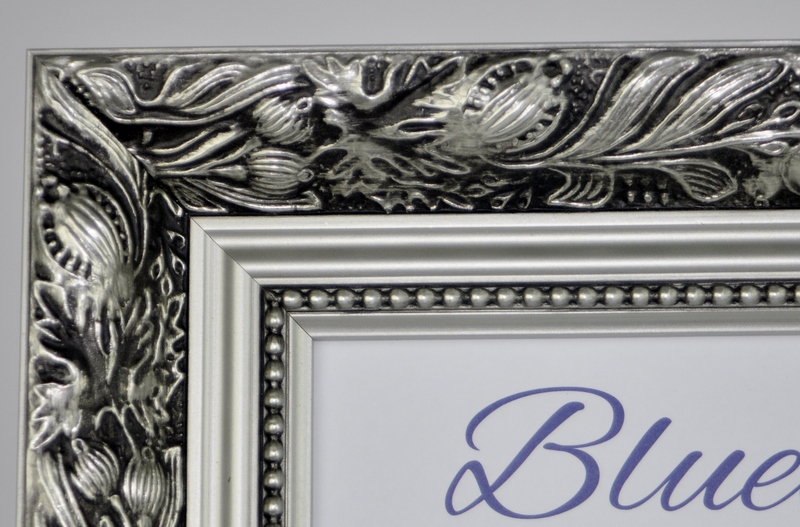 A Quality wooden frame in silver dahlia design 59mm wide moulding, 36mm deep. 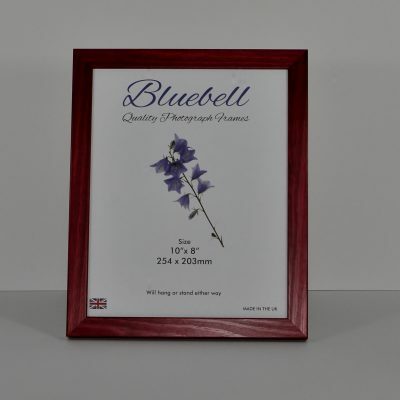 Fitted with 2mm glass. 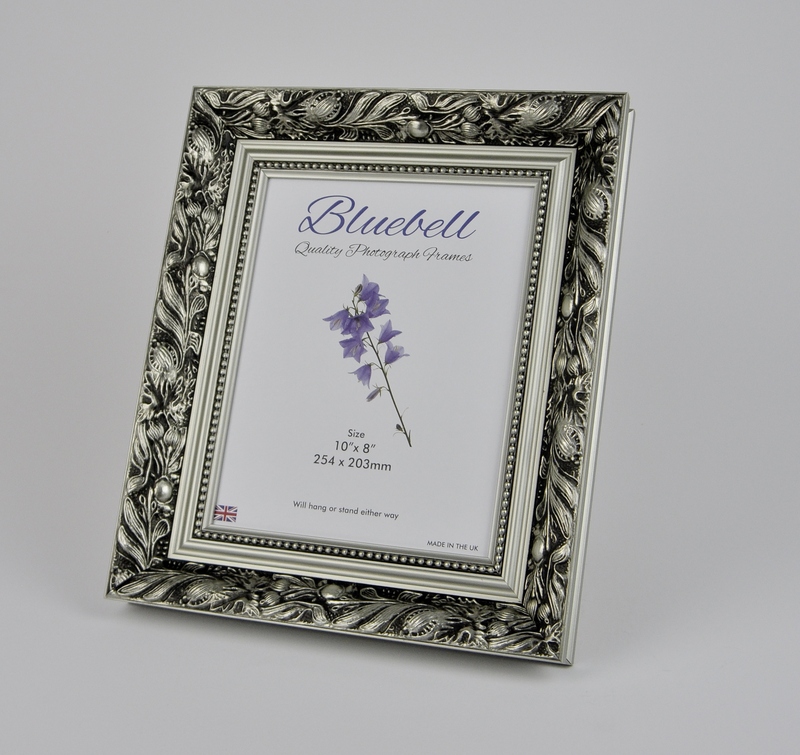 Quality frames made in the UK. 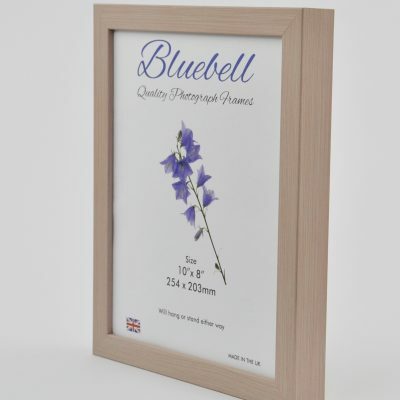 Frames are supplied with strut backs up to and including 12″ x 10″ to hang or stand either way. 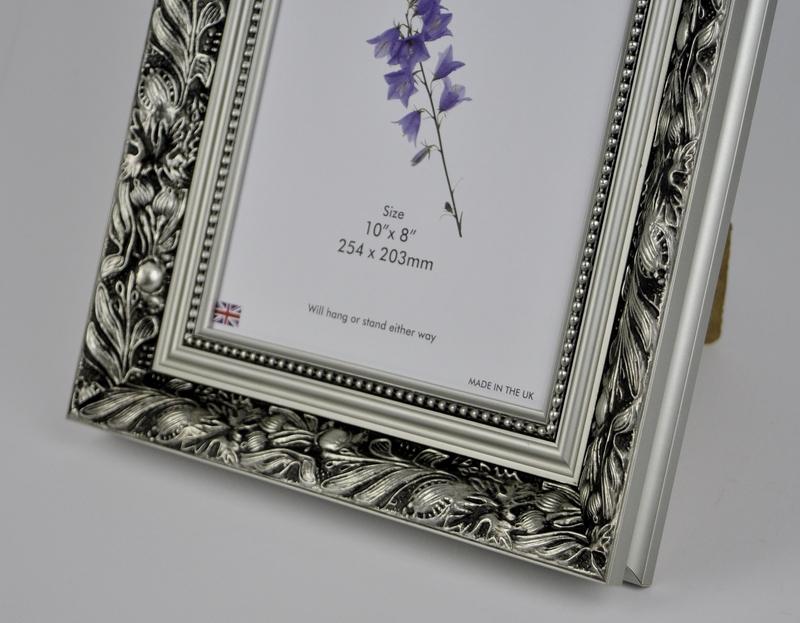 Frames above 12″ x 10″ can hang either way.